"Forte has guided us through planning and implementation at multiple growth points in two companies." The popular commercial say cotton is the “the fabric of our lives”, but for those of us in IT it’s really switching. Switches are the core of your business network, providing the connectivity between your users and IT resources that include data, voice, and video services. Cisco access switches offer best-in-class performance in a feature-rich platform to provide high bandwidth connectivity, scalability, and security. 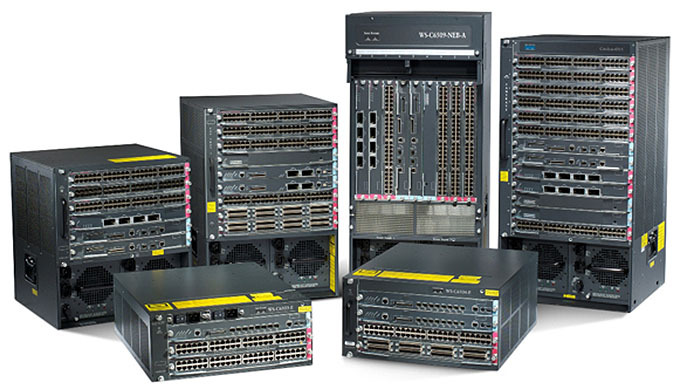 The Cisco Catalyst 4500E Series Switches are the industry’s most widely deployed modular campus access and distribution platform, delivering up to 928 Gbps bandwidth, up to 384 1G copper ports, 200 1G fiber ports, or 104 10G ports. The Cisco Catalyst 3850 Switch offers 480 Gbps stacking bandwidth, PoE+, StackPower, and converged wired and wireless support from built-in wireless controller capabilities. The 3850 supports Stackwise technology with 480 Gbps of stacking bandwidth and is capable of providing advanced Cisco TrustSec security. 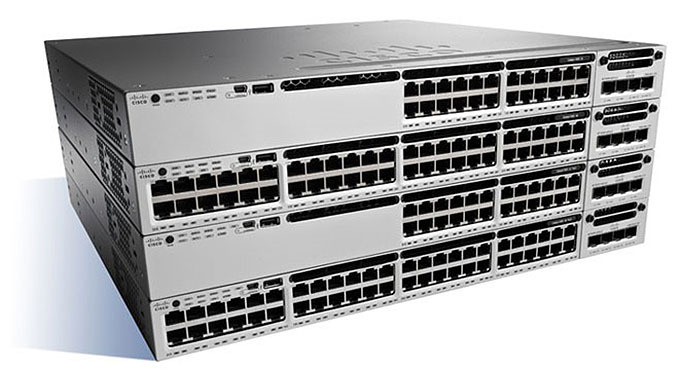 The Cisco Catalyst 3650 Series Switches provides a single platform for wired and wireless connectivity, optional StackWise resiliency with 160 Gbps of stack throughput, dual redundant power supplies, and PoE+. The software supports IPv4 and IPv6 routing, multicast routing, modular QoS, and advanced TrustSec security features. The latest trends of BYOD, Collaboration, and Mobility are the driving forces behind the deployment of rich network-based services. 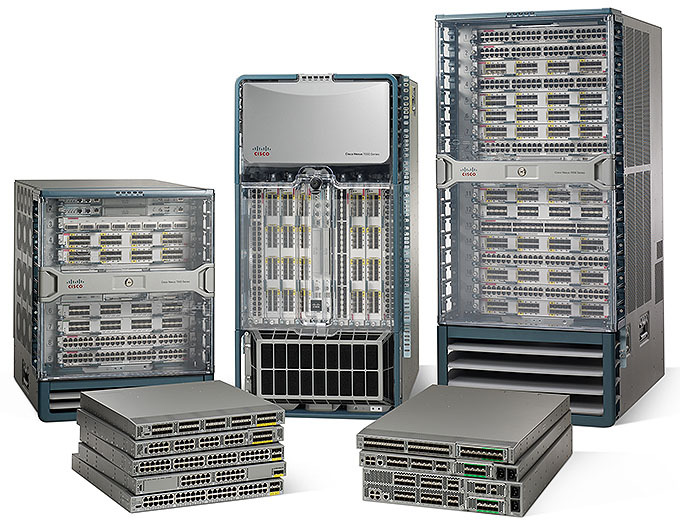 The Cisco Catalyst 6800 Series Switches are next-generation SDN ready campus backbone switches optimized for 10G/40G/100G services. They are scalable, smart, simple, and secure. The Cisco Catalyst 6500 Series Switches form the foundation of campus and WAN architectures providing IP routing, IPv4, IPv6, MPLS and high performance in a single platform. They offer 720 Gbps integrated switch fabric, 32 Gbps bus-based architecture, and hardare-accelerated IP routing and MPLS. The Cisco Catalyst 4500E Series Switches can also be used for medium density 1G/10G distribution deployments with up to 848 Gbps switching capacity. Cisco also offers fixed-aggregation Catalyst 4500-X Series Switches with best-in-class scalability, simplified network virtualization, and integrated network services in a 1U form factor. They support Easy Virtual Network (EVN) which simplifies the creation of separate logical networks on a single physical infrastructure. The Cisco Nexus 7000 and 9000 Series Switches provide high density 1G, 10G, 40G and 100G scalability, NX-OS, advanced services, high availability, and hitless In-service Software Upgrade (ISSU). They are ideal for data center and core deployments. The Cisco Nexus 5000 Series Switches support comprehensive L2 and L3 features for LAN and SAN traffic. Top of rack deployments can leverage the Nexus 3000 Series Switches. The Cisco Nexus 2000 Series Fabric Extenders reduces data center cabling costs and complexity. Cisco Meraki access and aggregation switches are centrally managed from the cloud, provide virtual stacking, layer 7 application visibility, QoS, optional PoE/PoE+, and are available in Layer 2 and Layer 3 versions. The MS420 Series aggregation switches feature 24 or 48 ports of 10G SFP+/SFP connectivity. Call or email us to speak with an engineer immediately!